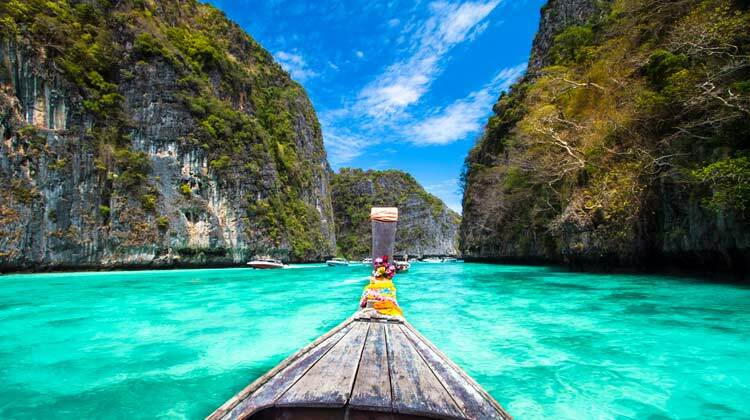 I’m leaving for Thailand soon and I’m stupidly excited. However, my childish enthusiasm is tempered by the niggling doubt of how the hell I’m going to make money while I’m there! So here are some of the tools and practices I’m going to employ to ensure the smooth continuation of my business while I’m in south east Asia. But first, why am I going away? There are many answers. I read The 4-Hour Work Week by Tim Ferriss years ago and that may have sown a seed. If you are unfamiliar with the book, it’s a blueprint of how to “live more and work less” by utilizing outsourcing, various productivity hacks and passive income. I’ve been running a graphic design business full time since 2008 and, more recently, selling e-books and video courses. During this time I was married and living in London as my ex-wife needed to stay here for work. So my business has been “location independent” for some time although I’ve been living in one of the world’s most expensive cities. But, there are other reasons. I have lived abroad before (many months in Portugal and Brazil teaching English as a foreign language as well as backpacking around SE Asia). I have always felt more alive outside England. However, upon return there was an empty bank account and societal pressure to “buckle down and get a proper job”. (Well, not this time). For me, being rooted in the culture you were born into creates blocks. The pressure to conform is greater. Cutting loose from familiarity aids creativity. Eckhart Tolle would say that you are more “in the now” when you are away from home because you’re endlessly aware of and excited by the present experience. So why am I going away? Because I think it’ll be good for me. And, you’ll make the world a better place the more happy and creative you are, or so they say. So let’s start with the essentials. There are only 3 things I need to run my business: my laptop, my phone and my brain – all three of them are subject to poor performance every so often so they need to be looked after. The most important bit of tech I’ll travel with will be my shiny new MacBook Pro. The scariest thing that could happen is losing my laptop. Not only did it cost a lot of money, it also has software and 300GB of files that I need. I must stress at this point that Thailand is one of the safest countries in the world (people leave their possessions lying around and regularly forget to lock their apartments and mopeds with no adverse repercussions). However, I’ll be locking my laptop which will hopefully stop a criminal emptying my bank accounts as they’ll need to enter a password to wake the computer up. Although, this isn’t “Fort Knox” level of security. I have also installed HiddenApp which will tell you where your Mac is (works with iPhones as well) which can lead to stolen devices being recovered. Let’s say the laptop is lost, stolen or run over by a bus, and can’t be recovered – what do I do? This is where the backup comes in. To backup, I’m taking a WD 2TB Passport USB external drive (about the size of a pack of cards) for onsite backup using TimeMachine. But, even better, I’ve bought the Pro 1TB plan from Dropbox. I’m delighted that they recently reduced their prices (I assume because of the competition from Google’s Drive). For $100/year I think this is a great deal – all my client stuff and video files backed up on the cloud. The only downside is that it’s going to take weeks to upload. So, if I lose the laptop, I can get another one and should be fully operational with in a few days. If you want to travel with a phone you are better off owning the handset rather than being on a monthly scheme in your home country. Make sure that your phone is unlocked and buy cheap Pay As You Go SIMs in the host country. This will give you a local number and unlimited data. All phones can be protected by a lock screen and there are several apps that offer greater protection that the inbuilt mechanism. There are also third party apps that will track a missing phone (like Cerberus for Android devices). On Android, you can backup all your phone contacts to Gmail and there are third party apps that will allow you to backup all sorts of information from your phone. There is similar backup available on iCloud with iPhone. So I’ve covered the first two essentials of my business, the laptop and the phone, now let’s turn our attention to the other essential: me! How do I keep my brain and body healthy and find time to service my clients and create content whilst on the road? I’ve been here before, backpacking through Bangkok’s Khao San Road, trekking through the mountains in the north, relaxing by the Andaman sea, catching the slowboat along the Mekong to Luamprabang – all, as I remember, involved lots of fast food and alcohol. It’s easier for me to be healthy in London – it’s cold which makes running advisable; it’s expensive which makes fresh vegetables and supermarket purchases more economically attractive; it’s big which means you don’t go out to see friends much, and, for me, it’s home, which makes my meditation and exercise routines easy to keep up. So I’ve started a morning routine of exercise (very short Tai Chi and Qi Gong movements) followed by a short meditation. I hope to keep this up. Plus, there are gyms in Chiang Mai which I hope to frequent. Sadly, jogging is out of the question in tropical climes. The downside to travelling, seeing the world, meeting new interesting people and having a ball is time. During the 8 year history of this blog, I have written about how you can set up an online business that will allow you greater financial security and personal freedom. Now it’s time to put it to the test – and let’s not forget to have fun! I’d love you to tell me what you think. Are you location independent? Do you want to be? Have you worked on the road before? Let me know in the comments. Mish and Rob are a couple travelling the world and trying several web-based businesses at MakingItAnywhere.com. Their newsletter is awesome. Dan Andrews with his business partner, Ian Schoen, have a great site at TropicalMBA.com and a great podcast of the same name – they are the dynamic duo of location independence. I have just joined the Dynamite Circle, to network with a private community of entrepreneurs whilst on my travels. And, I’ve always been a big fan of Cody McKibben at ThrillingHeroics.com. It’ll be great Rob. Watch out for the slight power differences and get a good power surge adapter (belkin has been good for me). India’s worse than Thailand for that, but all the same I had an issue there with a camcorder melting. I can’t imagine myself permanently settling back in the UK after living in the East. SSOOOO excited for you. After traveling the world for 40 months – and spending 18 of those in Thailand, with 7 in Chiang Mai – I applaud your choice. 3 and a half years ago I had made a few bucks online but was depressed, angry, and searching for meaning. Now, I’m a pro blogging island hopper living in Fiji….until next month, when I do Bali. You’ve traveled before so you know the drill, but doing this gig as a professional entrepreneur, it’s just so much more fulfilling, rewarding and inspiring. Growth is not an option when you travel; it WILL happen and darn quickly, and it’ll also accelerate your entrepreneurial growth too. So wish I was in Chiang Mai when you’re there. Who knows? It’s home to me in many ways, as is Thailand. I love it, and am dreaming of returning if not next year, then some time beyond. Thank you for your wonderfully encouraging message. I guess I always grow as a person while travelling – it would be great if my business grows along with me as well! Thanks for the advice about the power surges. A lot of people have mentioned that so looks like I’ll be investing in an adaptor soon. The plan is to stay in Chiang Mai / Thailand this year. Maybe travelling around a bit more next year but I’ll take each step as it comes! Cheers, Ryan, hope to meet you soon one day. Thanks for sharing this, Bruce, really interesting. You’re absolutely right we all need rest and our brains need “space”. I hope I manage to chill out while I’m there. Honestly, I don’t know when was the last day that I didn’t spend some time in front of a computer or online. Have been in Chiang Mai for 3 months already is a great place. if you need anything when your here let me know can show you around and let you know some recommendations. Is great lifestyle here. Thanks, Tom, great talking to you on Facebook – thank you for your kind offer. See you soon. You are one of the most admirable blogger in my book. Your engagement with me is pretty sincere, I am so glad I have met you and have gotten to know you. Wherever you go in the world, I will always follow you. The beauty of the internet huh? I don’t have to leave California to follow my friends. I can talk to you and be there in just one click. I wanna thank you for taking the time communicating with me, I mean that. Never change. Be you are “who you are”. Thanks for sharing this part of your life. I feel like I have gotten to know you better! I will try to continue to be myself and share as much as I can so that I can help other people. Hi Rob, I wish you a wonderful holiday and lots of new experiences, hope to hear how it is going whilst your out there. Take care but most of all have fun re-charging your batteries. My hubby went to Thailand many years ago when he was based in Hong Kong whilst serving for the Royal Navy he said it is a beautiful place with lots to explore whilst enjoying the culture. Hey Wendy, it really is a beautiful place with beautiful people. I think recharging batteries is more important than getting work done out there – I can’t remember the last time I had a day off! 🙂 Thank you for your kind words. Yes, I’ll keep you posted about what goes on out there. Have a great trip and don’t forget to get your visa & travel insurance before you leave! Our UK gear works fine in Thailand but I guess if you are staying in a range of accommodation types it might be a good idea to invest in a surge protector. Hey Joe, thank you for reminding me about travel insurance! I’ve got the visa. I’ll try to get a surge protector in Bangkok (along with a local MBP power charge if I can). VPNs are good for security (and viewing BBC iPlayer) seriously thinking about that. Are you there now, Joe? Where are you 😉 ? Does the Post Office still do free insurance on that E11 or is that just for Europe? I use privateinternetaccess.com VPN – its ok and is only $40 for the year but I hear Vypr VPN is the one to go with. Probably a good idea if you will be working on shared wifi – hotels/coffee shop etc. I live in Bangkok now actually and have been here for a few years since leaving London. If you need any pointers just drop me a line. I will probably go for the VPN. Thanks, Joe 🙂 I’ve emailed you with some more questions! Seeing Joe’s comment reminded me about International Drivers Permits which you get at the Post Office. I would not be without my scooter and nothing is as irksome as having to give the police some “tea money”. H’mmm I’m here without my drivers licence. Whoops! Fabtastic article. Very well written. Make sure you install Prey onto all your laptops and phones. It’s complexity free and great software. Good to have a backup. Enjoy your travels and see you very soon hopefully! Hey Deepak – great to see you last weekend! I’ve just installed Prey – thanks for that. The two I recommended both cost money (albeit a very small amount) and you’ve found a free app. I shouldn’t be surprised, should I? Your new book will be awesome – everyone who reads it will save money! have a great time Rob, V Jealous ! I did the backing thing in Thailand after Uni ( well the bars in and around the ko san rd and some of the islands full moon party etc, on shoestring). would love to go back and see more of it ( but less of the bars lol). Maybe one day, I’ll see you out there, Louie. I sauntered around Thailand 11 years ago and I remember a lot of bars that time. I hardly drink anything these days so it will be a more sober experience – funny how things change! I have been reading your blogs for so long now I can’t remember.when but to read this made me smile., I’m really happy for you. Have fun! Can’t wait to read all about your travels and adventures. Sounds awesome! I was out there in January and February whilst running my business and I have to say that I loved every single minute of it! In one way it’s hard to stay productive when you’re surrounded by so many things to do, but on the other hand it’s really inspiring and I reckon I had some of my most productive days while I was out there. How long are you going for? and where abouts are you travelling? I see that you mentioned Chiang Mai – I loved it there, although I wasn’t quite prepared for how busy it was. I’d recommend the Grand Wippanan, although I’m guessing you’ve already sorted your accommodation out. Looking forward to reading more about your adventure. Yes, Dan, I can see that there’ll be distractions but I’ll probably do well to be distracted as all work and no play makes Jack a dull boy. And I like the fact that you were super-productive when you got down to it. I’ve got nowhere booked so thanks for the suggestion. I’m going to be staying for at least 3 months barring a disaster! Maybe staying in Chiang Mai or Pai. Sounds good. I like to stay in serviced apartments when I’m away and running my business. Much easier to work from than a hotel, and when you are staying for an extended period of time it’s nice to have a bit more space, kitchen etc rather than just a standard hotel room. Cheers, Dan, yes I’d prefer an apartment to a hotel any day. All of a sudden I don’t feel so alone, you and many others who have commented here who have/are travelling and working, living what I consider a very liberating and free life. This is EXACTLY what I am working towards right now. I’m a web designer, started by business just over a month ago and plan to live and travel for an extended time around Europe before moving to Sweden. I have to ask, seeing as you’re doing the very same thing I long to do (and I have had plenty of challenges along the way in terms of getting clients) – what would you suggest are the best ways to grow one’s business to live a lifestyle like this? I need to generate leads online (I’m doing offline canvassing with some success, but I know to travel and do this I need to be able to generate business online) – however web design is much like “weight loss”, “make money online” – flooded markets. Anything you could suggest would be magic. Thanks, Daniel, it’s hard to say here as I’ve been doing this for a long time. That’s not to say it would take you a long time. But I’ve got a few really good clients that have been with me for a while. I also have passive income coming in from e-books and online courses. I would keep blogging and see what you can do to set up some passive income. There’s loads more in the blog that can help you about that. Let me know if you have any specific questions. Have a marvellous time and don’t forget to post about your adventures. I’m sooooo jealous. I used to go to Thailand at least once a year, but it has now been just over four years since I was last there. Well, I plan to be here for a few months, Naima. So definitely stepping into the location independent lifestyle. We’ll have to see. I’ll keep you posted. Thank you for your comment. Have a great time in Thailand. I’ve been thinking about a trip there myself soon. I can tell you what I do for backup.. I invested in a server – it only cost about $400. I can remote access the server from any where in the world. I use Bit Torrent Sync instead of Dropbox, which allows you to upload quickly over your own network, instead of going through the internet. It’s also free to use. It’s also a good tool if clients need to give me files. They can easily drop them in my server. I also use it to backup my client’s websites. I’ve definitely found it to be a great business tool. Hope you have a great time and enjoy it! Thanks for the suggestion, Tim. This is one of those posts where the comments have been as helpful as the post! Speed of upload is an issue. I had 300GB to put on Dropbox – it’s going to take me at least a month. Hi Rob, Well done on making your move! I’m sure you will enjoy Thailand hugely. I am also convinced that, with decent broadband, you can run your business from anywhere. Another reasonable storage site is mega.co.nz with free 50GB and 299 euros for 4TB, started by Kim Dotcom who was campaigning against Internet mass surveillance in the recent New Zealand elections!. I have heard that freedome.com produce an app that helps cloak your Internet usage when using public services. Look forward to hearing about your exploits. Another good resource recommendation for mega.co.nz, Gerald, thank you so much. There’s been such good info in the comments here. I’m not sure if you’re right about freedome.com – I’ve just been there and it looks like a blog that was started in 2009 but never got off the ground. I watched your videos on udemy and started reading your blog! I’m happy for you!! Sounds great! I’m just a baby webdesigner for now but work from anywhere in the world is kind of my motto as I’m an expatriate in Africa. Wish you the best during this trip, it will be amazing!